Welcome to the 25th IEEE International Conference on Software Maintenance (ICSM) website. 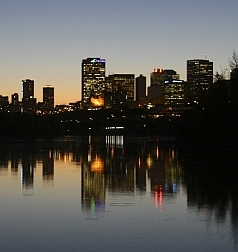 The 2009 ICSM was held at the Hotel Macdonald in Edmonton, Alberta, Canada and was hosted by the University of Alberta. Software system maintenance extends from correction of code to adaptation, and enhancement of systems, designs, and architectures. ICSM attendees discussed the latest techniques, tools, and methodologies that support software maintenance and its ramifications. ICSM 2009 provided an international forum for researchers, developers, and users interested in software maintenance issues. Participants included practitioners and researchers from industry, academia, and government. ICSM 2009 was held September 20–26, 2009. Join us again in for ICSM 2010 in Timişoara, Romania!